Despite the rise of the Internet and online marketing, the impact of print media on consumers remains powerful. Companies are using market research and knowledge of human behavior to create ads that connect to their emotions and ethics and encourage them to inquire for more information or make a purchase. If you want to know how to influence consumers using print newspaper ads and want examples of brands who have done it successfully, keep on reading. Giving consumers a general idea of what your product features are is essential to creating a solid print ad; however, your ad must also leave a little bit of room for curiosity for them to inquire for more on your web site or to visit your store. On your ad’s call to action (CTA), you can provide a phone number, your social media handles, or your web site address so they can find out more about what your product, service, or company is all about. The advertising and marketing industry is full of competition. However, the way you stand out from the crowd is what makes all the difference. Instead of simply offering a product, consider how to motivate your target audience to make a purchase. When consumers look at an ad, they identify if this product can improve their life in some way. Although this is an irrational consumer response, it can lead them to make impulse purchases. Find out what your target audience connects with, and use that to bolster your ad. Memory has flaws, so showing your ad once to an audience may not leave a lasting impression. Impulse buyers may make a quick decision to follow up with a purchase, but most will not. For most people, it takes a few times of viewing an ad for it to sink in. Today, technological innovation has enabled online advertisers to reach their target audience. For example, if you post on social media that you are engaged, or change your relationship status on Facebook, you will begin to see ads for engagement rings, wedding photographers, and other wedding-related ads. By repetitively presenting their ad in sponsored posts or in the side bar, consumers may become more interested in clicking through to find out more about the offer. Perhaps the most important characteristic of human emotions is that they motivate us to act. In response to their emotions, people are drawn to act in a certain way. Fear can force us to choose between fight or flight as a means of self-preservation. Insecurity may cause us to buy the latest smartphone to emit a positive self-identity. Marketers have developed theories about why consumers buy; understanding why consumers feel they need a product or what motivates them to head to the cashier is important for your success. Observations have revealed that many customers shop because they fear what would happen without the product. For example, after a snow storm, many customers will give in and buy expensive jackets and boots that promise to keep them warm during the coldest winters. Motivated by the fear of being cold, customers are drawn to high end products that relieve that fear. Understanding how human emotions affect the decision-making process is paramount to your success as you develop your print media campaign. Appealing to consumer’s emotions is a terrific way to get them interested in your product or service. By creating an emotional connection between your offer and your prospect, you will be able to persuade them to make a purchase or pique their interest enough for them to contact you for more information. Emotional appeals strive to substitute intuitive judgement for logic as they decide whether to make a purchase. This intuitive approach to the decision-making process depends on the feelings a brand evokes and the company behind it. It comes down to trust—consumers who think favorably of advertisers in terms of trust, are more likely to make decisions based on their perceptions and judgement, rather than logic. Therefore, you must earn the trust of your consumer audience before you try to appeal to their emotions. Your brand needs to be trustworthy, and deliver what it says, and it must command premium prices as consumers will spend more on brands they trust. A print media ad by Moms Demand Action shows a picture of two students standing in the middle of a classroom. 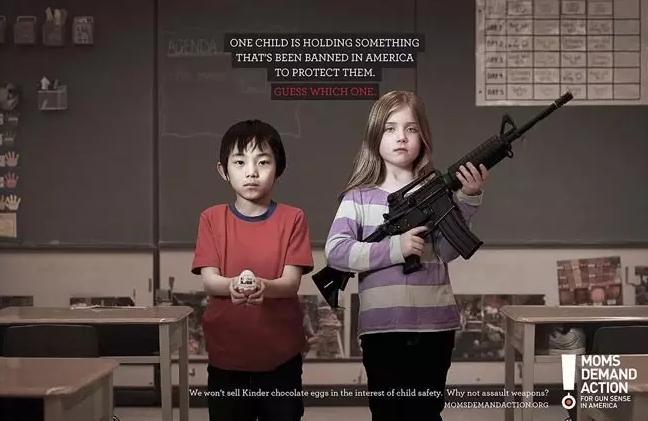 One student holds a Kinder chocolate egg, and the other holds an assault weapon. The ad reads, “One child is holding something that’s been banned in America to protect them. Guess which one.” The blank stares on the children’s faces, and the juxtaposition of a simple chocolate versus a deadly weapon would send a chill down anyone’s spine. Appealing to the emotions, this ad achieves its goal of getting your attention and making you consider its message. As mentioned before, standing out from the competition is important for creating curiosity in your prospective customers. 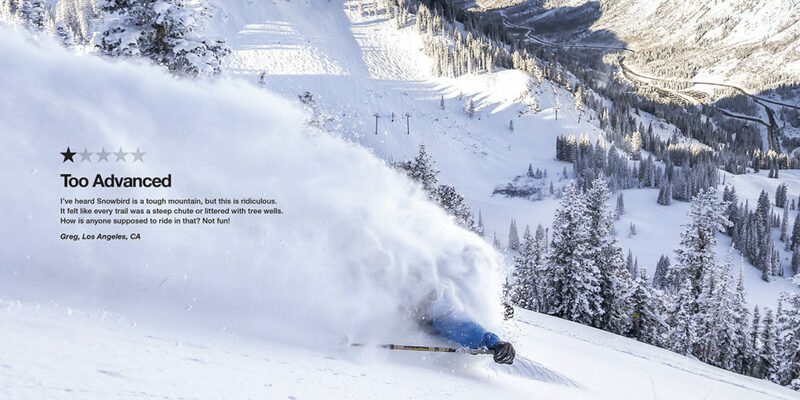 Snowbird Ski Resort gave their print media ad a unique spin by featuring one-star reviews from customers who complained about the resort for reasons that other skiers would find enticing. One review read, “Too advanced: I’ve heard Snowbird is a tough mountain, but this is ridiculous. It felt like every trail was a steep chute or littered with tree wells. How is anyone supposed to ride in that? Not fun!” By using bad reviews to their advantage, they were able to generate an ad that had the right amount of attitude, while also promoting their exciting resort. 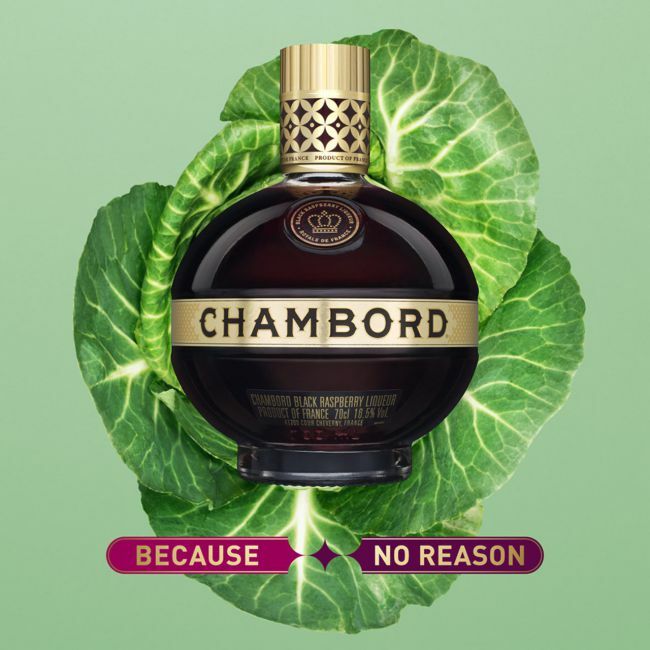 Chambord liqueur wanted to make a connection with female consumers aged 24 to 35. To do this they used the concept of the campaign to push back against the pressure on women to conform to certain standards of society, by using the tagline “Because No Reason.” With their ad, they were able to connect with audience that believes people can do what they want, just because they want to. Penguin, a company that has made its worth through selling paperback books, is taking a step towards helping the environment by encouraging people to download its audiobooks and save paper. 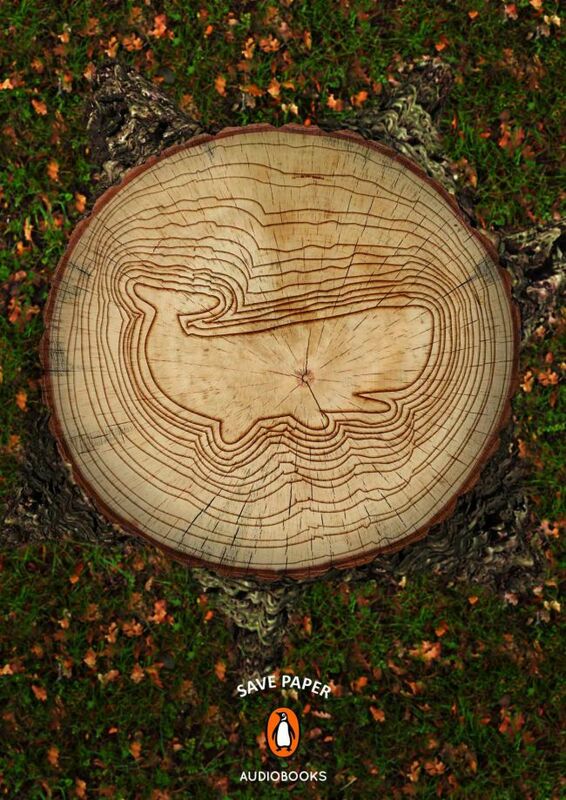 The illustration on the ad shows a tree stump with the lines curling in to create the shape of a whale, symbolizing its impact on the environment. By appealing to human ethics and consciousness, the ad is able to promote its online reading platform and help the environment. 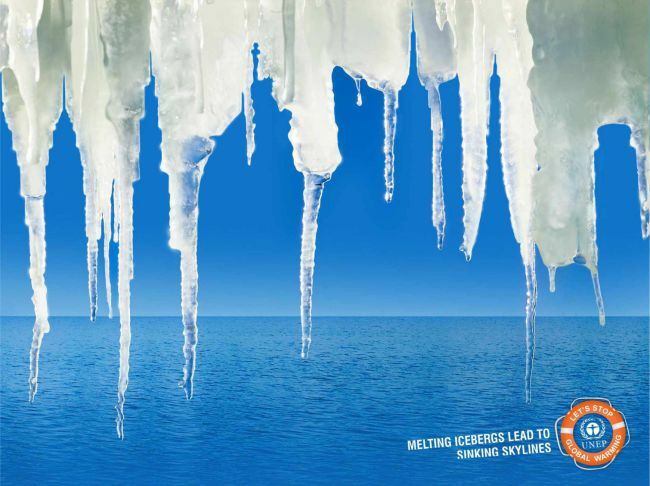 To bring the message of global warming home, UNEP: Skyline grabs its audience by using Photoshop to create a skyline within melting icicles. This enables the viewer to absorb the message faster and effectively, while appealing to their global and environmental ethics. 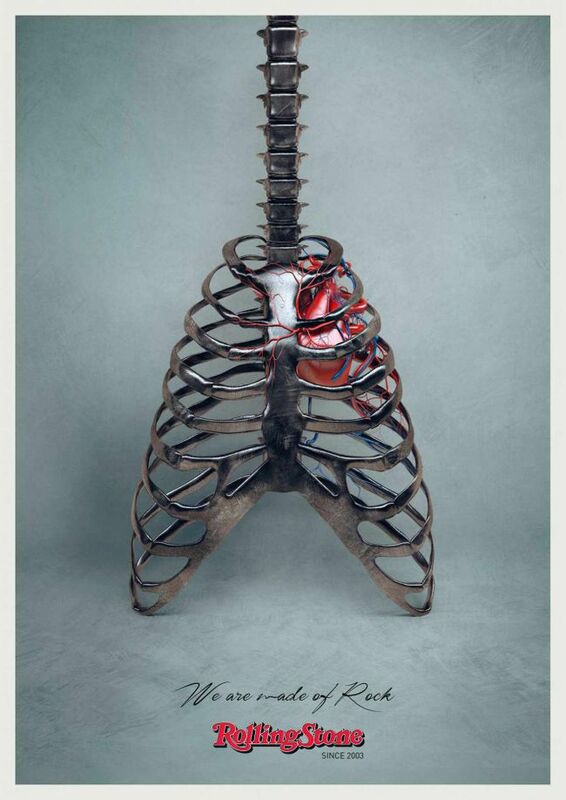 Showing off rock star aesthetic, the Rolling Stone ad promotes its attitudes, product, and ethos with an image of a metallic spine and rib cage. “We are made of Rock,” says the ad, simply and brilliantly evoking interest in consumers. 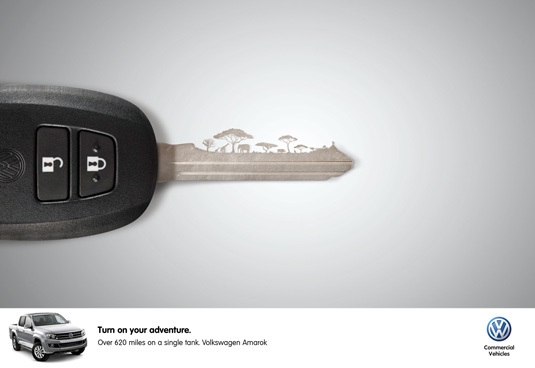 Volkswagen promoted its Amarok by using Photoshop to create a tiny design of the Safari on its key. The effective image advertises the fact that consumers can get over 620 miles from just one tank of fuel. The ad invites people to “turn on adventure,” and the ad cleverly presents this message by targeting their sense of imagination and desire for exploration. It also appeals to their need for safety, as fuel-efficient vehicles give drivers the reassurance that they won’t run out of gas during a road trip. Print newspaper advertising continues to benefit companies around the world, but it takes know-how and creativity to execute an effective campaign. 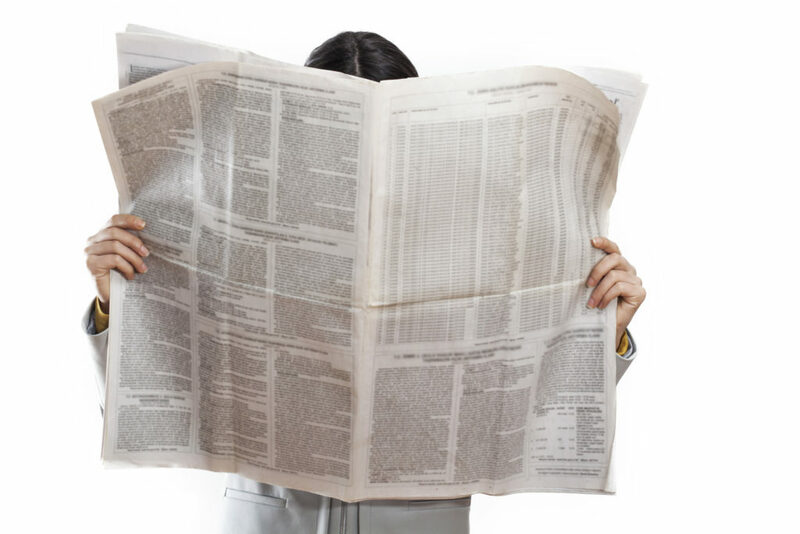 If you want to benefit from the same advantages, now is the time to get help from a newspaper advertising agency. With help, you can improve your marketing strategy by creating print media advertisements that engage your prospects and appeal to their emotions and ethics. Also, you can get help to stand out from your competitors and engage readers, both of which are essential to growing your customer base and getting consumers to visit your store or web site.